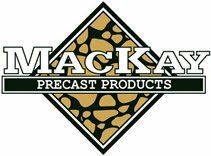 Mackay is proud to offer many gorgeous concrete and precast products for residential and commercial use. 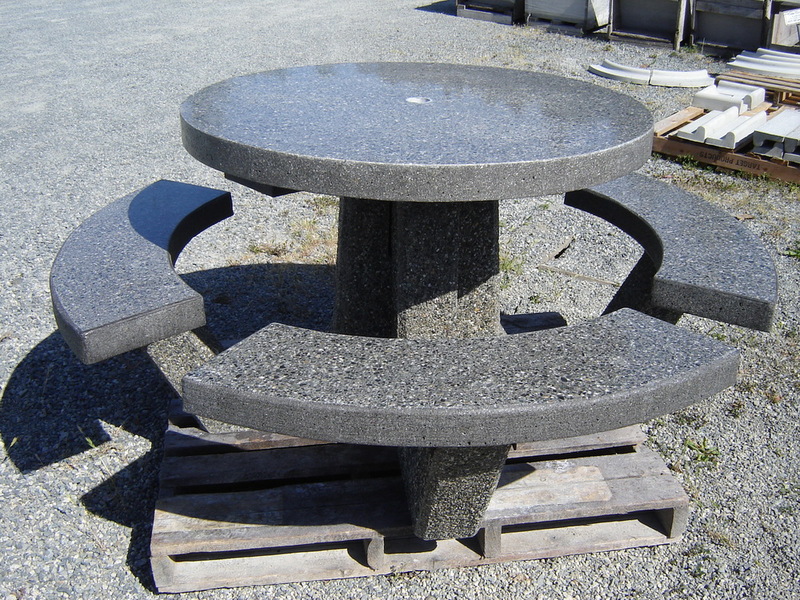 An exciting new addition to our picnic table line is the Round Picnic table. 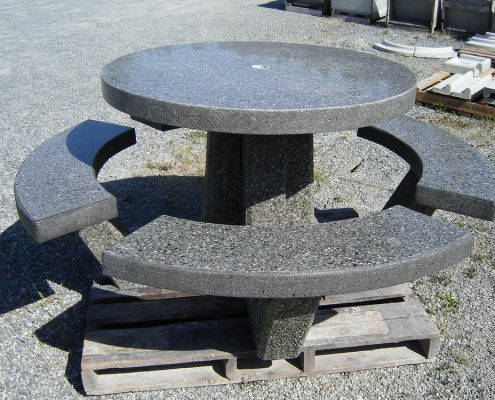 Our most recent addition to our concrete picnic styles is a round 42” diameter table top c/w three bench seats all attached to the table base. The table has an overall diameter of approximately 70”. The size and seating arrangement has proven popular with restaurants with outdoor patio areas – partially because the table is produced with a 2” umbrella hole. 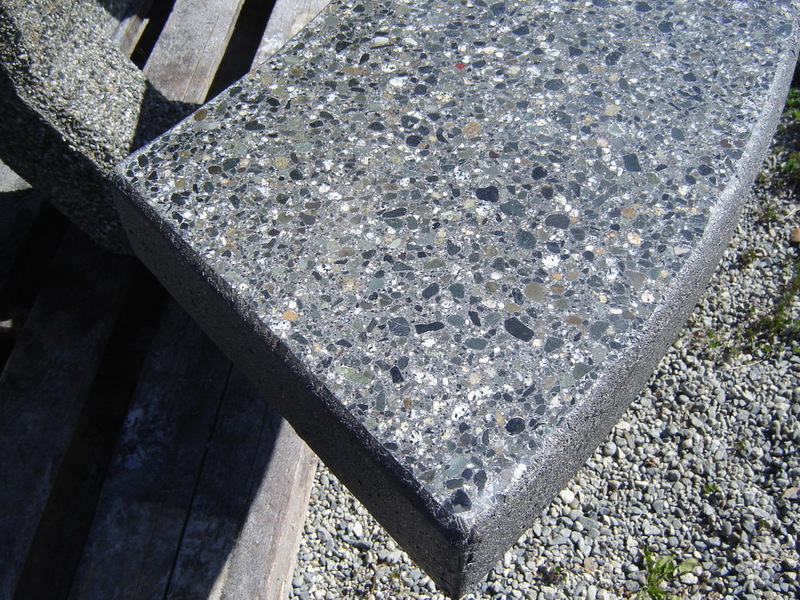 This style of concrete picnic table is offered with an exposed aggregate concrete table base sealed with three coats of acrylic sealer. 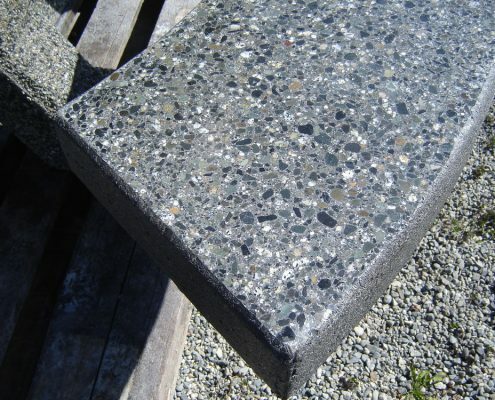 The concrete table top and three seats are black concrete ground and polished, providing a beautiful granite look. The smooth finish makes spills easy to wipe up. This table can also be made wheelchair accessible with three seats instead of the standard four seats as well. For more information about our line of Round picnic tables, check out our Featured Items, browse our Catalogue or Request a Free Quote!